One of the basic advantages of eCommerce is the ability to reach beyond borders. This includes the ability to sell products and provide services at a national level as well as internationally. Allowing the Internet users to make international transactions means it is necessary to integrate international currency into your eCommerce store. There are a handful of currencies that are accepted internationally although there are also several benefits of integrating many currencies into a single payment gateway. Additional fees: When integrating several local currencies into your eCommerce store, it gives the option to customer to purchase in their local currency. Hence the customer can save on conversion charges by not having to pay extra. Localising: There are many benefits of customsing the website as per the region of the user. Thus effectively providing the user the eCommerce website in their local language with special offers relevant to them as well the ability to pay in their local currency. This has proved very beneficial in increasing the conversion rates. Buying in foreign currency: The average Internet user is less likely to make an online purchase from a website that is not in his local language and requires payment in International currency. Hence by implementing the local currency you are effectively reducing abandoned shopping carts and encouraging users to spend more on your website. International currency exchange rates: For a Internet shopper having to purchase a product using international currency means they need to be aware of the current conversion rates and charges. Thus this is often one of the main reasons why the potential customer may leave the website. Credibility: Providing the customer the ability to make a purchase in their local curency has a profound effect on consumer confidence. Doing so, affects the credibility of the online store in a positive manner. 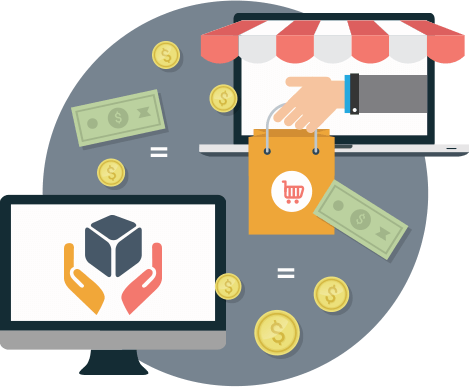 Alakmalak is an ecommerce development company in India. The offer a great many online serivces including web development, website design, simple SEO as well as more advanced SEO, digital marketing and many more. Having established their Web Development company since 2006,they hve gained a great deal of valuable experience already. Thus they continue to grow and release websites as per schedule to satisfy their customer’s requirements. They have highly experienced web developers who always deliver to expectations of the client. This has helped the company grow rapidly. Even today, Alakmalak continues to expand by incresing the infrastrucutre, facilities and resources.